Everyone wants to win our Rummy Tournaments. Everyone admires and wants to emulate a winner – Be it their skills, class or mind games or their ability to keep their head cool on difficult circumstances. 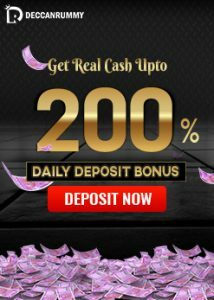 If you notice often, rummy experts often have a right balance of gaming skills, soft skills and most importantly a meticulous bankroll management. It is the combination of all these factors which helps them to go the distance in rummy tournaments. The first step to success in a massive tournament like this is to improve your game. This is no not an easy task as it may appear. You need to put in a lot of effort to do that. Read lots of articles about the game and get a good grasp of it. 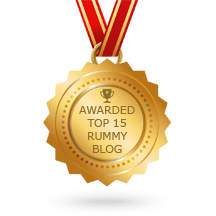 We have a barrage of articles on rummy skills that will help you to understand what it takes to win. But don’t just restrict it to reading alone. Get onto practice tables and implement the things that you’ve learned. 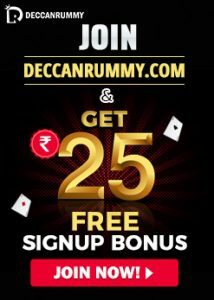 DeccanRummy.com is providing all the players 10000 practice chips that you can use to play practice games. Our practice tables run 24/7 and there will always be someone in our practice tables. You will need to have different strategies for games and tournaments. Unlike games where you may encounter people whom you often know, in tournaments, you may have to face completely new players. What works in games need not necessarily work in rummy tournaments. In games, you could spot a weaker player and attack him continuously, but in tournaments, it is very difficult as you may have to deal with a new seat of players every further round. You can easily overcome this by playing our freeroll tournaments regularly. The discard section is a big hack in learning about your opponents hands. Once you learn about the cards that you have discarded, with few mental calculations you can easily predict the hands your opponents are trying to meld. And then you can hold the cards your opponents would need. Bluffing remains as an important part of rummy. As mentioned earlier, you need to keep track of what cards your opponents are picking/discarding. If you do it, you will have an idea of the cards your opponent is holding. Throw a few cards as bait and deceive your opponents into thinking that you’re about to finish the game. This will often pay rich dividends. These are some of the proven winning strategies in Rummy tournaments. There could be even more to it. If you could identify anything more, feel free to let us know in the comment section below.